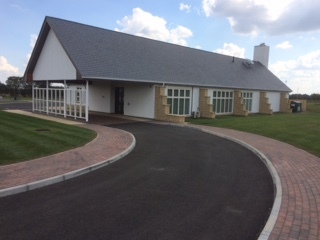 This was the seventh new crematorium we constructed for private client Memoria Ltd, following the successful completion of sites near Middlesborough, Derby, Oxford, Leicester, Beccles and Denbigh in North Wales. Our contract included responsibility for the design (except the S278 works). Our overall contract sum was well in excess of £2 million, with a contract period of 40 weeks. 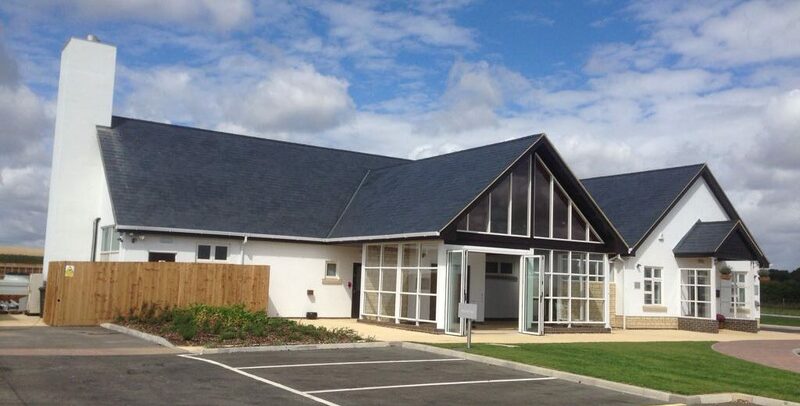 The chapel, waiting area, plant room, office areas and external covered areas were completed to the usual high standard demanded by our client. The external works, roads, paths, car parking, ponds, landscaping, fencing, etc. included an interesting feature, the construction of a ‘haha’ to direct views from the chapel over the open countryside. The works also including adding a turning lane in the A600 road and bring gas, water and telecom services from the A600, alongside a private road and into the new building, half a mile in distance. 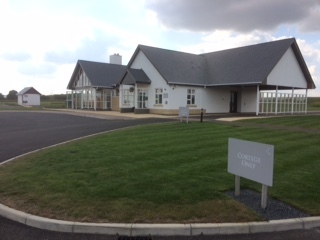 The new crematorium opened for business at the scheduled date, as had all the others. Needhams have also been entrusted with extending and refurbishing four local authority crematoriums at Ipswich, Kettering, Clacton and Great Yarmouth. These contracts ranged in value from £100,000 to £750,000.